Few areas get such a resounding makeover like Fulton Market. Located just west of the Chicago Loop, the former center for food processors and distributors is getting a major uplift converting it into a pedestrian friendly destination. The area once was used to serve the city�s food needs. You couldn�t drive down the street a couple years ago without driving around food trucks and dodging fork lifts swirling around impervious to you as they try to keep their trucks on deadline. Todays Fulton Market is quite different. Phase one broke ground two years ago upgrading the area from Halsted Street to Carpenters Street. A second phase of the street scape has just broken ground. A million dollar makeover will continue from Carpenter Street and go through to Ogden Avenue. This redevelopment will include granite cobble stone intersections, wider sidewalks, bike racks, shorter streets to cross, and the addition of street furniture. The ultimate goal is making the area safer for bikers and pedestrians. As the area improves, new companies are eyeing the area for relocation joining other companies like Google in making this area home. Although new developments are being announced almost weekly, the most recent announcement is the addition of a large hotel. The hotel would be the largest hotel to date in the area. A venture of New York-based DDG and Chicago-based Marc Realty is planning to redevelop a dairy supply industrial facility at 1234 W. Randolph St. into a 13-story hotel with approximately 250 rooms. The $105 million development would be operated under New York-based Standard Hotels. So while I read so many stories of new developments coming to Fulton Market, I have to ask, where did all the food companies go? We are now working on our April Building Green/Property Management Issue. 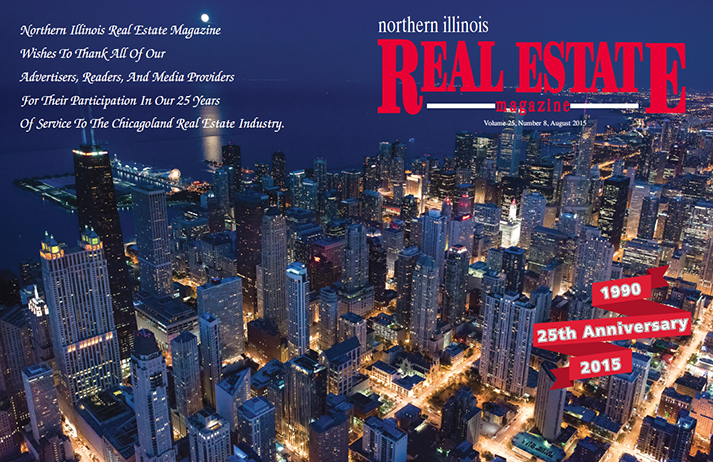 This issue offers an excellent opportunity to market your services to our many readers in our Building Green and Property Management Directories. Don�t be shy-give us a call. We will see you then. Click to View our 25th Anniversary Issue!! This was awesome-Don't miss it!